The marquee of the Mission's cinematic heyday was the New Mission Theater, which opened in 1916 and was declared a landmark in 2012. 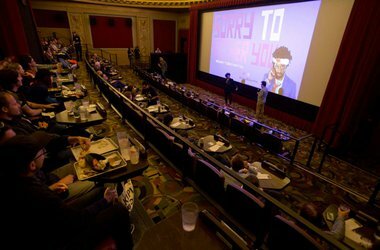 It was around this time that Alamo Drafthouse took over ownership and brought the epic space back to its 1932 Art Deco glory. Established in 1909, the Roxie Theater is the oldest continuously operating movie theater in the United States. 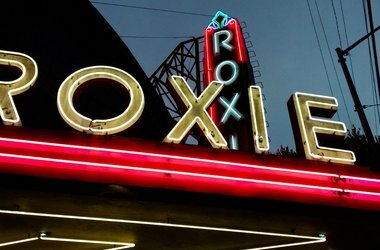 A true hallmark of the neighborhood's film community, the Roxie showcases both cult favorites and lesser-known indie films in addition hosting numerous film festivals, filmmakers, curators, and entertainers for more immersive experiences. It isn't afraid of whimsical events, as demonstrated by a screening of Wes Anderson's Isle of Dogs, where they encouraged moviegoers to bring their furry friends. 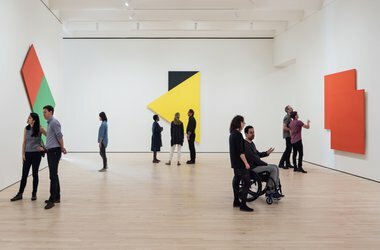 San Francisco's only 24-hour gallery defies all the conventions of a typical place to experience artwork. Visitors view works by flicking a light switch located on the side of the building, illuminating the gallery within, and viewing art through a reverse peephole. 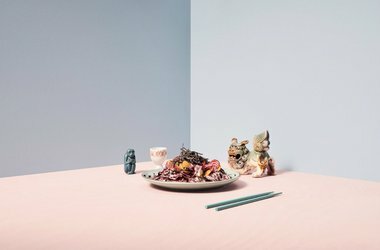 What appears to be a life-size installation is actually a miniature display designed to fit within the confines a one-square-foot space. 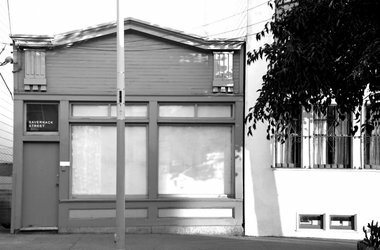 Home to American conceptual artist David Ireland for three decades, 500 Capp Street has been preserved and opened in 2016 as San Francisco's first historic artist's home. The Victorian house contains site-specific installations that capture the artist's signature use of humor and everyday materials. Visitors are invited to take guided or self-guided tours, immersing themselves in Ireland's rich history. A pillar of the community since the late ‘70s and the largest Latino cultural center in the continental United States, the MCCLA promotes Latin America's contemporary and ancient arts and culture. In addition to multiple traditional gallery spaces it includes a performance theater and a printmaking studio. Exhibitions range from group shows on queer Latinx narratives to interactive Día de Los Muertos installations. 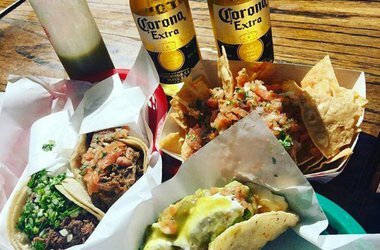 Its unassuming, black facade and location on the block alongside Foot Locker and various Mexican restaurants makes it easy to miss. 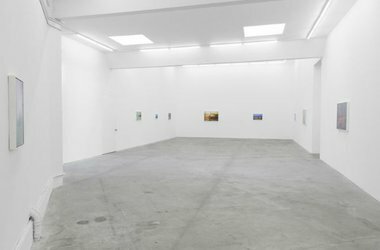 But the surprisingly spacious bright white gallery is home to some of the city's best contemporary art. 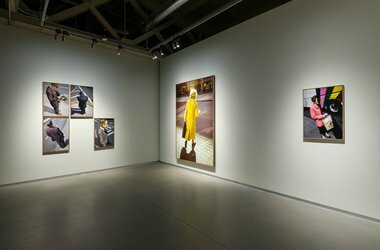 It has showcased work from internationally renowned artists such as Marilyn Minter, Felix Gonzalez-Torres, and Sol LeWitt. Writer Dave Eggers’ literacy non-profit for under-resourced children has a pirate supply store out front that sells apothecary items, books, garb, and other seafaring-themed souvenirs your kids will go crazy over. 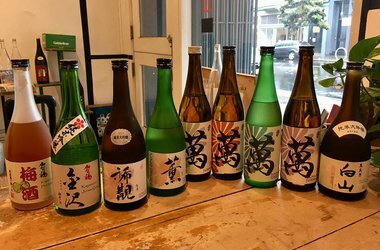 SF’s premiere sake shop stocks harder to find varieties like nama (unpasteurized) and koshu (aged) sakes. Ask the staff for recommendations — from sake starter kits and sakes for wine lovers to sake in a can — and come out with a fun bottle to bring to dinner at a friend’s house. Light and airy boutique selling Japanese men’s and women’s apparel from brands you normally need a passport to find. 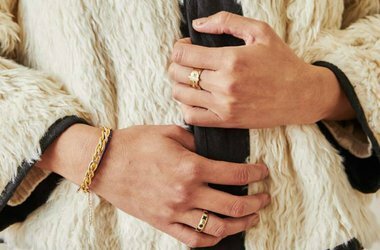 Children’s clothing and feel-good accessories make it a spot for the whole family. 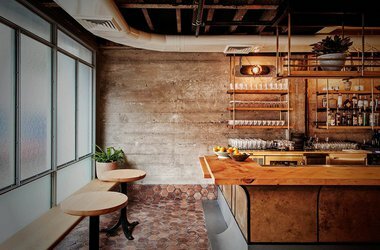 A breezy all day Dogpatch cafe from the folks behind Piccino that serves up your ideal version of grab-and-go-lunch — not-your-average breakfast pastries, farm-fresh bowls and sandwiches, coffee, beer, and wine, and a particularly refreshing buffalo milk soft serve. 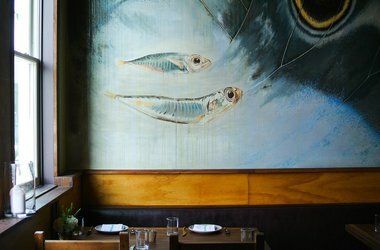 The place to go for insane yakitori, fresh sashimi, house-made udon, loads of sake, and other mouthwatering izakaya-style bites. A bamboo fence separates a hip crowd from an otherwise unassuming street in the Mission. 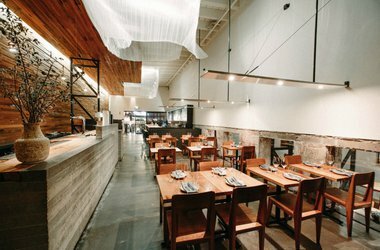 The spacious, sophisticated second act from the culinary rockstars behind Statebird Provisions next door is perfect for a special meal. 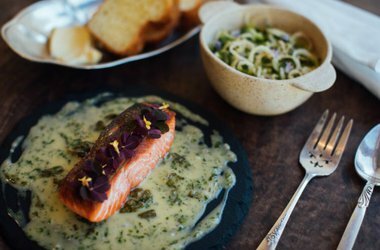 Seasonal small plates, festive shared platters, a great wine list, and notable martini round out the Michelin-stared offerings. 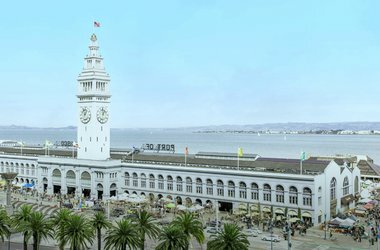 An absolute gem in the Ferry Building. 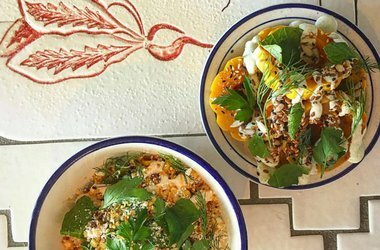 Chef Amaryll Schwertner works with purveyors near and far (some as close as the farmers market out front) to put together vibrant, ingredient-forward dishes that command a following. Cozy up with regulars (or the occasional A-lister) for brunch at the larder or dinner at Boulibar next door. 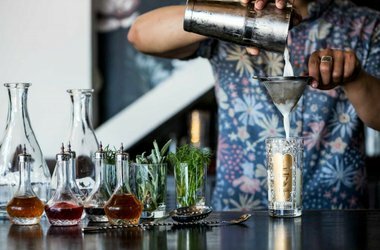 A hip new addition to the Mission cocktail scene from the folks behind the ticketed dinner party-inspired restaurant, Lazy Bear. 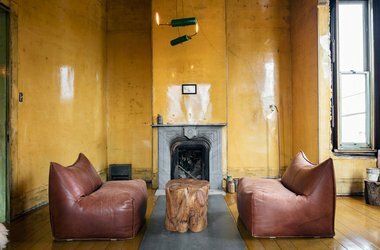 Interiors are inspired by mid-century artists like Isamu Noguchi. Cocktails and bar snacks go way beyond the ordinary offerings. 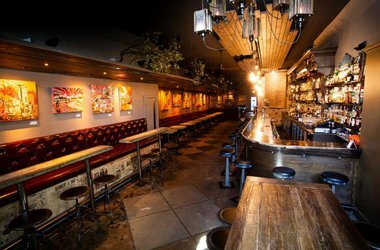 (A smaller bar within the bar serves a separate cocktail tasting menu.) The vibe, even a weeknight, is lively. 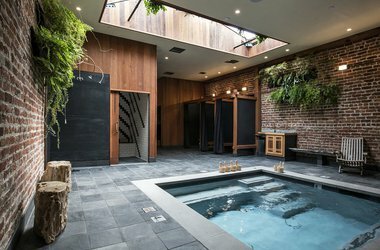 A mini-detox in the middle of the Tenderloin. Petite communal bathhouse in the back. Japanese bar and restaurant in the front. Come for one or both. Throw in a massage and call it a Sunday night. 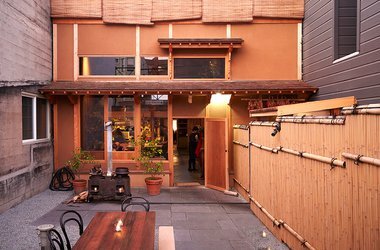 A funky and newly refreshed Japantown boutique within walking distance of restaurants you’ll want to eat at. A lobby bar adorned with vintage knick knacks, rooms flooded with natural light, a Japanese manicured garden, and a sister spa with communal baths make for a nice “welcome home” after a long day on your feet. 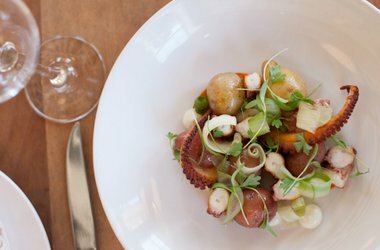 Multi-Michelin starred chef Dominique Crenn serves beautifully crafted dishes that make the city crazy at this Hayes Valley spot. If you can't stomach the tasting menu at her ultimate showcase, , Petit Crenn is the lower priced, yet still exquisite, option. 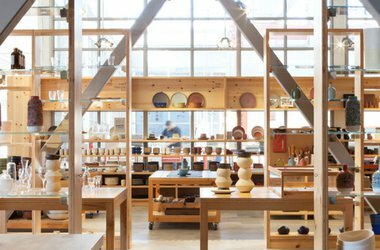 In addition to being the workshop where the widely popular ceramic plates, tableware, and tiles are made, this large, airy, design-minded emporium carries a selection of goods sourced from makers and artisans around the world. Attached is the Heath Newsstand, which carries indie magazines as well as traditional newspapers. 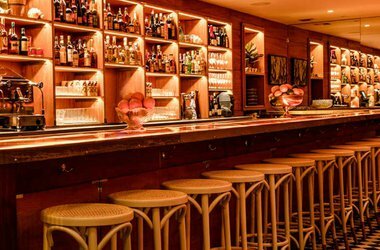 Start the night at this exquisite jewel of a clubby bar/restaurant. The onyx bar lights up, casting a god-you’re-gorgeous glow on everyone there. In addition to oysters, the house specialty, the tater tots are absolute crack. There’s a smaller semi-private bar room in the back, and a tiki bar patio off that. 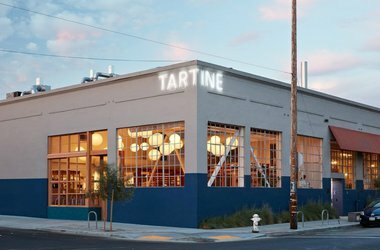 A beloved neighborhood gem that’s been around since before the Dogpatch got cool. Italian dishes change with the seasons, while an adjoining coffee bar and overall warm atmosphere keep folks coming back on the regular. 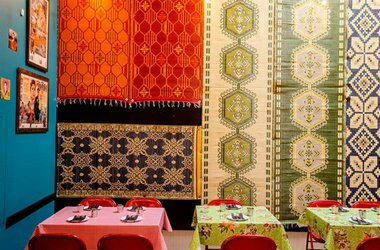 An elegant and impressive Moroccan restaurant in Midtown (tk). 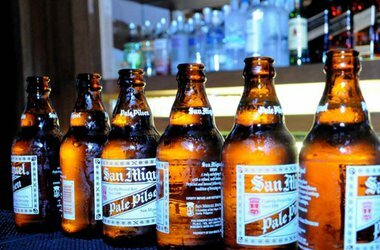 The specialties are large-format shared plates and a four-thousand bottle collection of wine. This is the place to impress clients. A massive photography exhibition space along the water. Shows are brilliantly curated and sweeping, and the space is just dazzling. 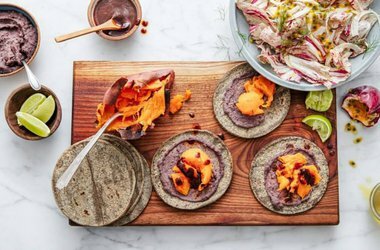 Chef Gabriela Cámara, of Popupla Favorite in Mexico City, has brought her toque north. She’s still serving her addictive tostadas, here made with trout instead of tuna, as befits her focus on sustainable seafood. 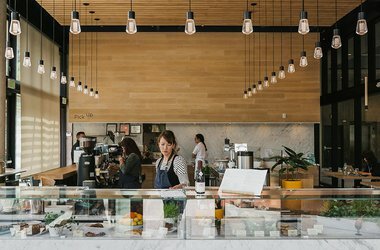 The Hayes Valley eatery is airy and beautiful, with hanging vines, a great bar scene, and a terrific staff. By the culinary geniuses behind the beloved , you can expect much of the same here by way of excellent pizza and Italian dishes. But the strong cocktails and communal tables makes for a fun night out. Come back the next day to nurse a hangover with Sightglass coffee at the cafe. 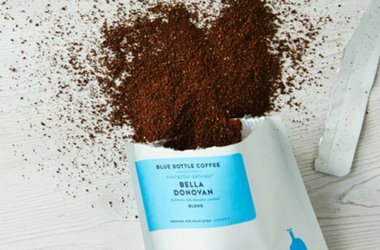 The small-batch roaster of legend with smooth brews and deep espresso. 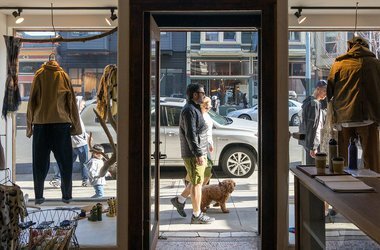 What the Hayes Valley kiosk lacks in counter space it makes up for with neighborhood charm. For a proper sit-down and maybe a bit of breakfast, stop by the . The garden of this gastrotavern provides the perfect backdrop for frosty pints of artisanal brews and pretzel braids served with whole-grain mustard and smoked cheddar dip. If macaroni and cheese suddenly appears, no one is to blame. The bright, horseshoe-shaped bar has the deepest whiskey cabinet in town (some 400 American varieties!). Pair your tumbler with soulful Creole fare and sunset views of the Bay and you've got a good night ahead of you. 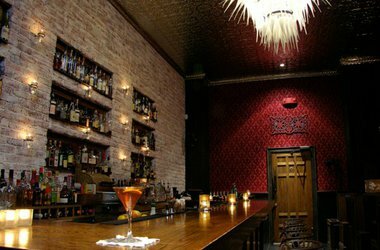 There's the main bar, and then there are five more not-so-hidden bars inside, including the standing-room only , a fictional , , and a secret trapdoor that leads to the original speakeasy but is only available for large events. 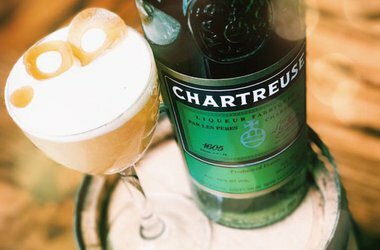 It's not all smoke and mirrors though — the drinks are strong, the classic cocktails are solid, and the craft ones are fun. There's a refreshing no-cellphones house rule too. 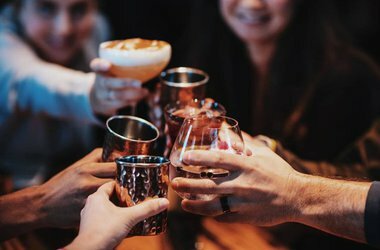 Come at sunset for delicious tapas, Moscow mules, and a stunning view of the Bay Bridge, all courtesy of celebrity chef Michael Chiarello. 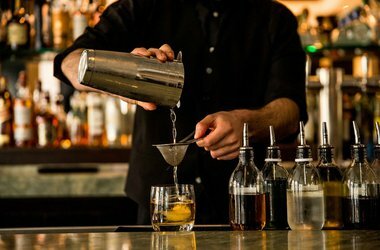 Drinks are a steal, and intriguing ingredients like acid phosphate and "Trix syrup" keep your eyes on the curious cocktail menu. 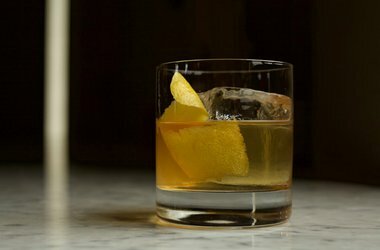 This revival cocktail bar in the Tenderloin features a menu that pays homage to every era of alcohol and reservation-only snugs (high-backed booths that were introduced so society ladies could imbibe in privacy without being seen). 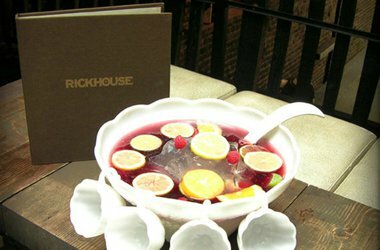 If there was ever a reason to be spirited away to a FiDi (a cutesy moniker that makes the financial district automatically more fun), it would be sharing a seemingly bottomless punch bowl at a handsome watering hole. 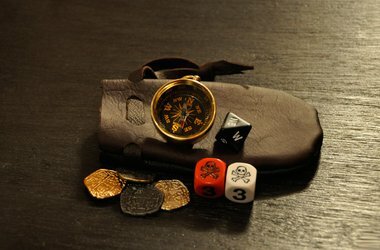 Accessorize with an eyepatch here and no one will think anything of it. 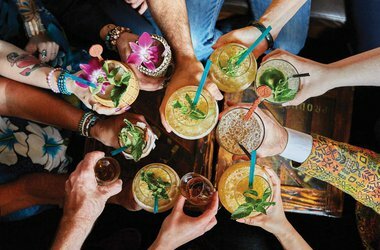 High seas overload is only emphasized by bartenders pouring long drinks and mixing swizzles fit for a Caribbean island, prohibition-era Havana, and the tiki god next door. Housing over 33,000 works of art, including painting, sculpture, photography, media, and design, this museum is one of the largest contemporary art spaces in the world. Since re-opening in 2016 following a massive expansion overhaul, it's where you'll find works by Pollock, Klee, Warhol, Lichtenstein, and de Kooning, among many, many others. So this is where foodies are born. Go door-to-door and course-to-course with , , , , and a grocery list's worth of other fine makers and purveyors. On Tuesdays, Thursdays, and Saturdays, cruise the Ferry Plaza Farmers Market. City cyclists have the right idea — bikes are faster than cable cars and easier to park than smart cars. So do a tour on two wheels. 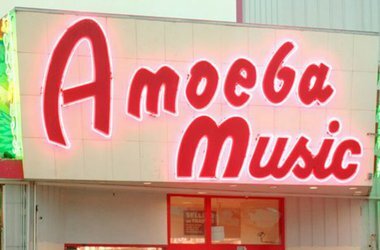 In 3 – 6 hours you'll cover more must-see Victorian architecture, hippie hideouts, foodie meccas, and historic sites than you thought possible. 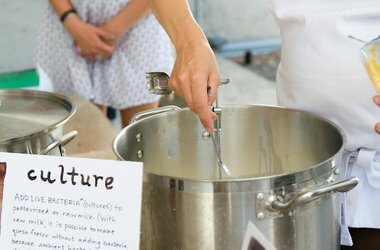 With enough planning anything is possible, including , hands-on cheesemaking classes with Louella Hill. With delicious-sounding alliterative courses like Butter Burrata and Bloomy Brie on the syllabus, are held often but fill up fast. 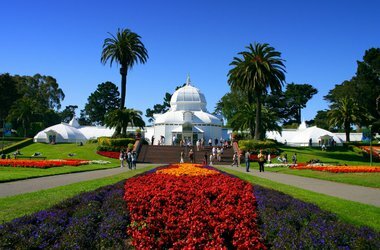 Over 1,000 acres of lush green filled with playgrounds, museums, nature trails, and hippie heritage. Get a dose of culture (or just a peek at the observation deck) at the , a floral fix at , or a cup of matcha and a moment of zen inside the . Pull up a bright red folding chair to the equally colorful polyester-covered tables, add the passing whiff of beef short ribs in a coconut milk and turmeric marinade, and suddenly you're in a back alley in Bangkok waiting for dinner. It's all good vibes and better food by Michelin-starred chef James Syhabout. The cocktails are fantastic, too. 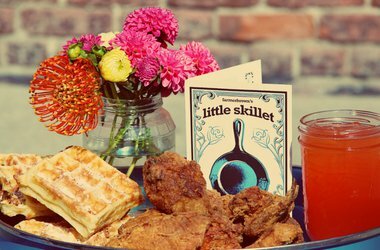 Beignets, BBQ shrimp and grits, fried chicken and waffles slathered with brown sugar butter and apple cider syrup. 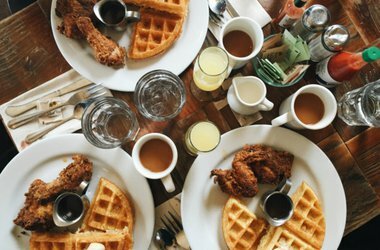 It's breakfast that will put you to bed. 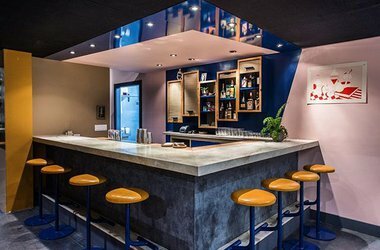 Just outside the Gourmet Ghetto, hidden inside Hotel Shattuck, is a four-time Bib Gourmand Michelin award-winner. The cheddar buttermilk biscuits, the roasted duck breast, the craft cocktails — your stomach thanks you. 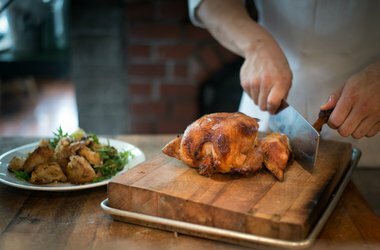 Go for the roast chicken (totally worth the wait and the $58), stay for the burger and the seasonal salads. Fresh oysters and fun cocktails making waiting at the bar a real pleasure. One of those magical places that tourists love and locals still frequent. Squeeze onto one of the tiny bar stools and be prepared for a memorable seafood lunchtime feast. Everything on the menu is good, but when in doubt, strike up a conversation with the very nice Sancimino brothers and their staff for secret menu items like a smørrebrød or uni. 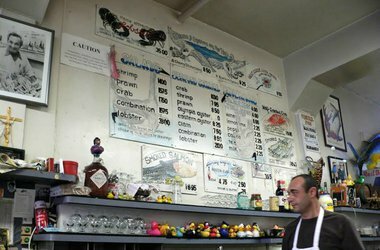 There are plenty of spots for Mission burritos and Mexicatessen pit stops, but this one tops the list. The staples are excellent and the servings are generous — don't forget to get your burrito dorado (grilled). The dishes are hearty, the wine list is long, the scene is bustling but cozy. No surprises why the Michelin-star Italian spot continues to draw crowds. 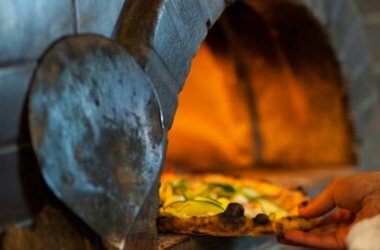 Chez Panisse-alum Charlie Hallowell serves up some of the best wood-fired pizzas this side of the Bay. Get a pie to share so you can order more of the fantastic antipasti (think persimmon and pomegranate with shaved fennel and walnuts) and still have room for dessert. 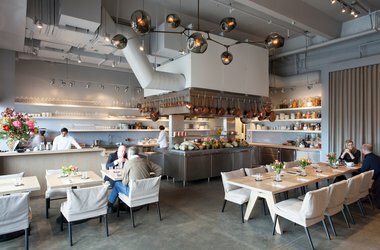 Alice Waters, the mother of farm-to-table movement, continues to draw crowds in her cozy yet sophisticated Berkeley spot. The prix-fixe menu changes weekly and is especially fun for adventureous eaters. For a more casual option and an equally impressive á la carte menu, opt for a seat at the cafe upstairs. 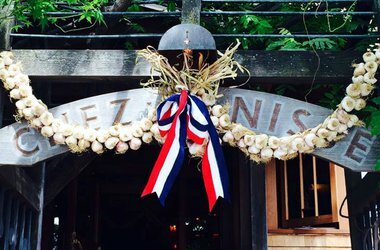 Everything you expect from a NorCal favorite; from the walls lined with jars of pickles to the scrumptious dishes heaped with the freshest local ingredients (many of which are meat-, dairy-, and gluten-free). 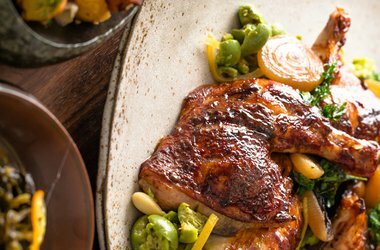 From the culinary geniuses behind the James Beard-award winning , their newest venture is an all-day restaurant, serving lunch and dinner in addition to their famously delectable pastries and freshly-baked breads. 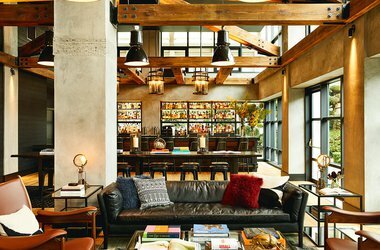 The space is refreshingly airy and in the middle of one of San Francisco's trendiest neighborhoods, so it's unsurprisingly popular —be sure to make a reservation. Order at the window of this Southern grub-slinging hole-in-the-wall from the kind folks behind sustainable soul food spot . Take your basket of fried chicken and flakey buscuits to a strip of curb in the sun. Midweek, drop in for oysters and something bubbly at the bar. 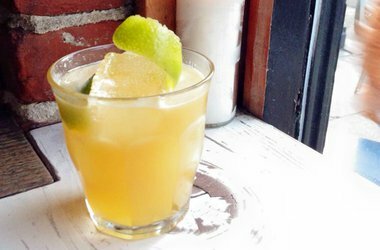 Mid-weekend, book a table outside for brunch and pile it high with lemon curd-layered crepe cake and gravlax on rye, with fruit cup cocktails and four-barrel coffee on the side. Make sure blood sugar levels are stable before your name goes on the list, because even when the wait is close to two hours, no snack comes close to being worth spoiling this Szechuan feast. One bite of ma po tofu and you won't even notice the greasy spoon decor. A seemingly simple concept gives way to seasonal salads, house-made pastas, and wood-fired pizzas likely to cause cravings at a much later date. 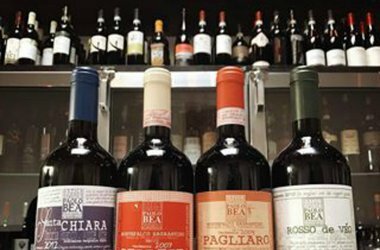 A wine list of obscure Italian bottles is where the night gets rewardingly complex. 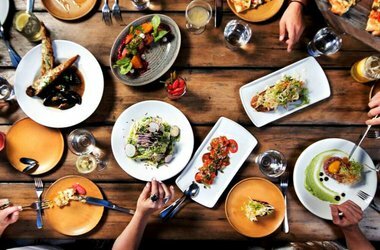 Carve out a spot at the communal table to comfortably consume heady cocktails and copious amounts of veg-heavy antipasti, rich risotto, and crispy pizzas. No reservations for parties under 6, but call ahead an hour before your preferred dining time, and they'll add your name to the list. 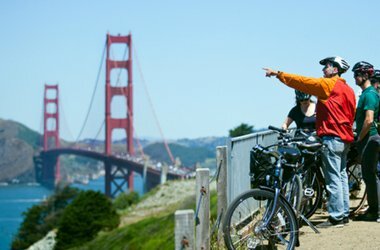 Set in the beautiful Marin Headlands park, near the Golden Gate Bridge, and the views are fantastic. 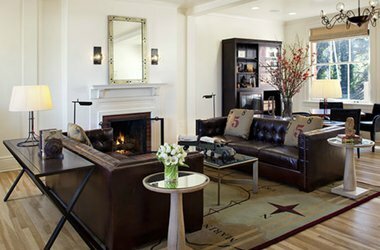 Opt for a historic night in one of six former military officer residences. The Healing Arts Center & Spa offers outdoor fitness activities, chakra readings, soul balancing sessions, and other woo-woo treatments to remind you that you are in the hippie Califonia quadrant. 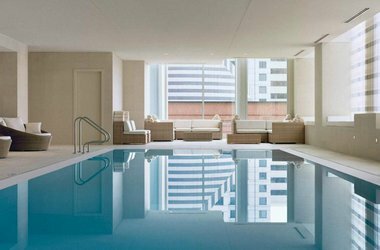 It's at once a perfect business hotel — where everything in the room (outlets, decor) is designed to maximize convenience and comfort — and a fancy city hotel — with elegant lobby, restaurant, and common spaces, a terrific pool, gym, and spa. 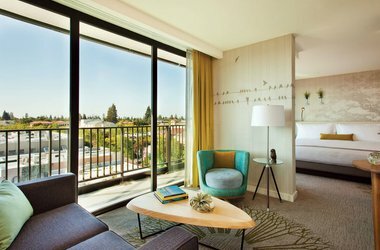 A luxury spot befitting the high-flying VC crowds that often pass through Silicon Valley. Expect sleek rooms flooded with natural light, custom Smeg mini bars, the latest activity trackers and headphones (thanks to partnerships with emerging tech companies) for guests to play with. The hotel's restaurant is an excellent, standalone draw. 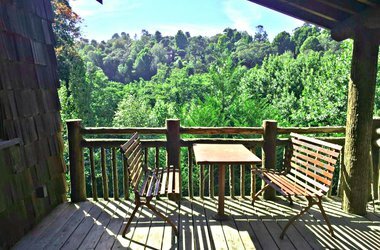 A handful of artfully renovated cabins close to tons of hiking trails along the Point Reyes National Seashore. Start the day with homemade breakfast brought to your front door, take in the beautiful stone outdoor shower stocked with Kiehl's products, and cozy up at the end of the day by the in-room fireplace. The lobby, with cherry wood walls and Spanish mission revival arches, makes for an airy backdrop to the bustling crowds waiting for dinner and drinks at . 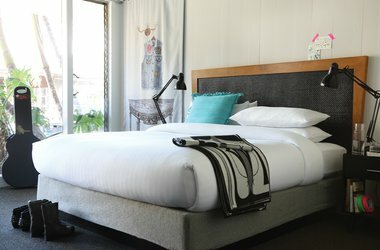 Rooms are comfortable and modern with Malin + Goetz bath amenities. Look for custom artwork by local artist Jenny Kiker throughout the place. 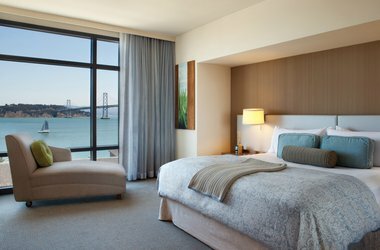 The subtle, zen-like hotel on the revitalized Embarcadero offers eye-popping waterfront rooms (be sure to request one), rooftop soaking tubs, and access to the YMCA a half-block away. 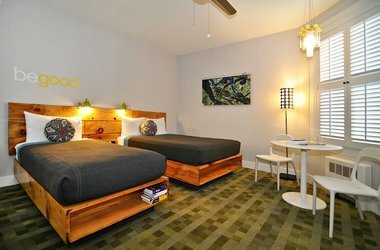 A rock-and-roll hotel crash pad that makes the itinerary for every indie band's Bay Area tour. Action is delivered poolside on the weekends. Centrally located for passing through town. 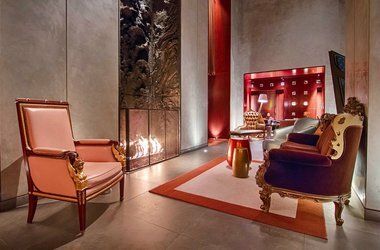 The modern revamp of the deco hotel has all the Starkian trappings you've come to expect: decadent woods, lots of velvet, and quite the lobby scene. 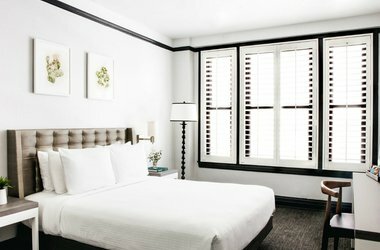 Stylishly streamlined for short stays in SoMa. A good home base when you know you won't be spending much time in the room but would like to be comfy when you do. 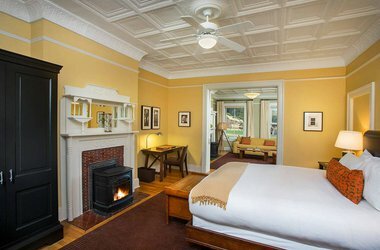 Picturesque and situated on protected parkland, the old-world guest lodge was once used as U.S. army officers' quarters. Rooms are charming, contemporary, and design-driven. A Pacific Heights charmer far above the downtown fray. 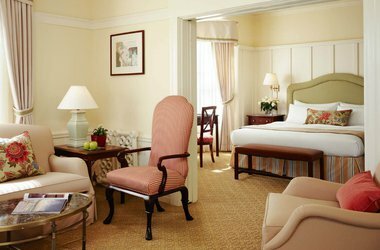 Attentive service and well-appointed guest rooms settle weary travellers for the night; a classy continental breakfast spread (especially the fresh-baked currant scones with lemon curd and clotted cream) fortifies them for the day. A stash of new, vintage, and antique goods with a worldly, tasteful, eclectic appeal. Artfully merchandised in a way that makes each gauzy dress and victorian jewel feel equally special. Row after row of new, used, and rare vinyl await at what's considered one of the best independent music stores in the country. Carrying a torch for Haight-Ashbury's musical history, live shows attract good bands with new albums and a crowd.